There are multiple reasons why people want a website nowadays. It’s not even strange to have a personal website for who you are and what you like to do. Mostly, however, people build websites for growing their business. We don’t recommend getting caught in having a website simply because everyone is doing it. Really figure out if you need one, what you’d like to see in it content-wise, and what you ultimately want to get from it. Below, we’ve come up with five things to consider before building a website. – 1. Why do you want a website? First and for most, be honest about the reasoning behind having a website. Is it to impress clients? Is it to feel like a real business? Is it because someone said it was a good idea? Sure, all of these are valid to an extent. You do want your clients to know you have a website, especially if you’re in business. However, what is this website going to do for you? What is it going to offer your clients? Once you figure it out, and if you still want one, go to step two. – 2. What is your budget? The right budget will get you a beautiful website. What makes it a beautiful website? The template or design, of course, but also the content, and the copy. The copy is a crucial element of any website. If it isn’t elegant and to the point while capturing the voice of your brand, people won’t want to stick around to read about your services. – 3. Are you seeking to convert? If so, you’ll likely need to hire an SEO company. An SEO company helps you rank your website and convert from your site. They do this by determining the right keywords that will get your website noticed and analysing the data that will provide pertinent information about your website traffic. 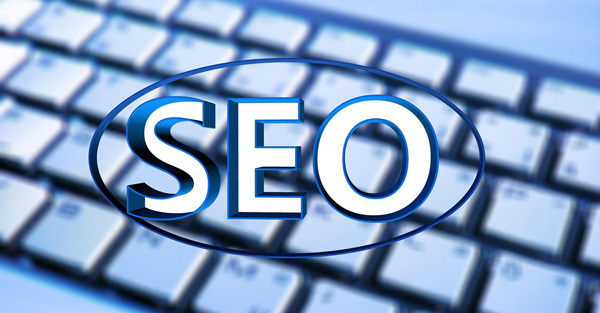 SEO analysts will then translate that data into actionable strategies and quantifiable results. This is important because you want to measure how your website is doing in order to correct and improve when needed. – 4. How many pages does it need to be? A website can vary from a simple one-page site to multiple pages, depending on what you need. One way to find out the number of pages, is by drawing a preliminary wireframe. Grab a pen and paper and draw your banner out. Many banners look like this: “Home, About, Services, Contact Us.” Every time you click on one of those, that is one page, and so it goes if you keep clicking inside of those pages. If that’s too much or too little, keep adding or subtracting. Some businesses have a huge site, while some are satisfied with a simple landing page explaining their business. Note: Your budget will inform your number of pages as well. Chat with your web designer to determine the right number of pages for your needs. – 5. Do you need e-commerce? If you’re planning on selling from your website, then be sure to explore your e-commerce options. There are many choices in today’s market, and we recommend sticking with the one that will best serve your target audience. Sure, something may be easy for you, but if your customer will have a hard time with it, you may want to look at the interface and layout more closely. Put your consumer shoes on and determine what you like best when you shop online. That should be your point of departure. Once you’ve figured out what you like, see if it’ll fit for your site and serve your customers right. Building a website is a commitment that you’ll keep until you decide to take it down or improve it further. It’ll represent your business and who you are. Be sure to know what you want to say, hire experts, and be willing to give it the time and effort it deserves.